Don’t forget to bring them with you on your next trip. (SPOT.ph) Ready to go on your next adventure? Before you jet off to a new place, make sure you have everything you need so you can have a pleasant and memorable experience. Not sure if you’re all set? Take it from your gal, Yassi Pressman. We list some of her travel essentials that make her trips fun and hassle-free. "Waterproof camera—because you'd want to capture each fun moment." Take lots and lots of photos, but don’t let the prospect of dropping your camera in the water ruin your entire trip! Invest in a waterproof camera so you can snap away without worries. "You can always go places and make waves if you're wearing comfy clothes." Don’t sacrifice comfort for style. A nice button-up blouse paired with a cool midi skirt and stylish sneakers, for example, will help you channel Yassi Pressman and make for a perfect commute-ready but still Instagram-worthy ensemble. "Don't forget your sunnies; it will protect your eyes, and it's fashionable, too." Protect your peepers from the harmful rays of the sun and look hella stylish with a cool pair of sunnies! You’ll look extra stylish in your IG posts, too. "If you're always on the go like me, a power bank is very handy." Juice up your phone anytime, anywhere with a portable charger! Staying connected all the time makes everything easy-peasy, from booking cars to checking maps to finding the best dining spots wherever you may be. "Trust me, you don't want the water to ruin your expensive gadgets; so invest in waterproofing gear." From an unexpected high tide at the beach to unforeseen rain showers while strolling around tourist spots—accidents happen. The best way to ensure your stuff survives your trip is to bring along some waterproofing gear. An umbrella and a few plastic zip-up bags ought to do the trick! "Any trip is more exciting when there's music." Chilling by the beach is best done with some good tunes playing in the background. Bring a portable speaker and music player (or your phone), and play your favorite songs. However, make sure that you're not playing it too loud so won't disturb other beach-goers. "Don't sacrifice hair care when traveling; so always pack hair conditioner." Traveling under the sun can easily damage your locks, so make sure to keep your crowning glory protected with the help of a good hair conditioner like Cream Silk. For years, the brand has been the go-to conditioner of Filipinas. And it's also good to know that it has recently launched a new formulation that can effectively protect your strands even if you’re on a challenging travel itinerary. As a modern woman on-the-go, your tresses can suffer from dryness and breakage due to exposure to harsh elements. How do celebrities who love traveling avoid these hair problems? For Yassi, she never forgets to bring Cream Silk with her wherever she goes; so no matter how sunny it gets, she can take on the day with no worries. Take your cue from Yassi. Condition your luxurious locks with Cream Silk every day to protect it from the sun, wind, dirt, and pollution as you jet-set from one place to the next. This way, you get beyond beautiful hair that’s sure to turn heads whenever, wherever. 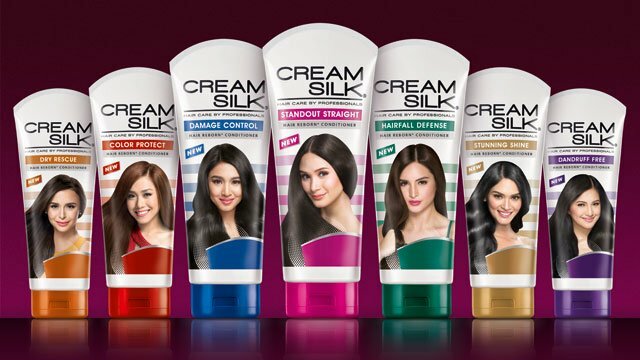 To know more about Cream Silk and how its new formulation can protect your hair while traveling, visit this website or buy yours at Lazada today.